West Ranch High School is empty at 6 p.m. Students have long ago packed up and rushed home, but there a select few who still keep the football field buzzing with activity. 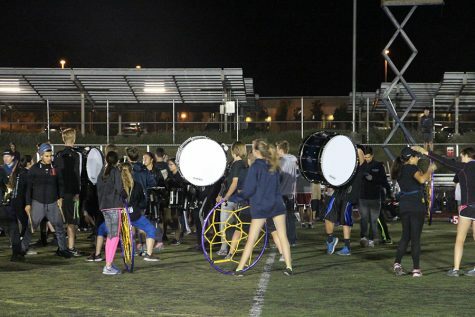 While most high schoolers have just started their dinner, West Ranch drumline has just begun a long three hour practice. Unlike the marching band as a whole, drumline includes just the percussion section. They play everything from steel drums to xylophones. You have most likely seen them at rallies and football games, animating the crowd with infectious beats and exciting routines. Their hands move superhumanly fast as they tap out quick beats on the instruments. Although they are definitely crowd favorites at these school events, you might be surprised to hear that games and rallies are not their main priority. “The long preparation is basically for everything else we do. The rallies are just extra time we put in on the side during school,” said senior Elijah Jones, who plays the tenor, also known as quads. Drumline competes against other high schools in the fall semester with the band and colorguard, but during the spring, they perform solo. The drive to win these competitions is the reason they practice for often over 10 hours every week. “Competition days are always hectic. Percussion practices early mornings, with the band following us around noon. All this for seven minute performances,” said sophomore Jared Santiago, who plays the vibraphone. 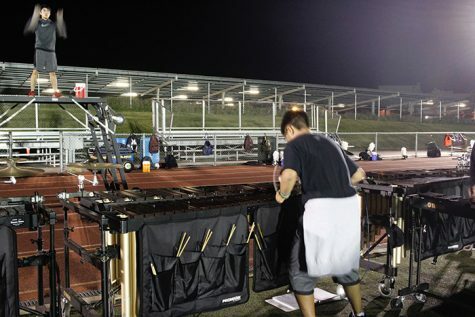 Many members of drumline are out on the field until 10 p.m., constantly practicing and putting in hours of work together. “I’m definitely in a lot of clubs and really involved not just in band. You just need to be really committed, you don’t need to be the best musician or anything, you just need to be mentally engaged,” said Cameron Santiango. This dedication to the program has paid off with their numerous titles in the Southern California Band & Orchestra Association (SCSBOA). 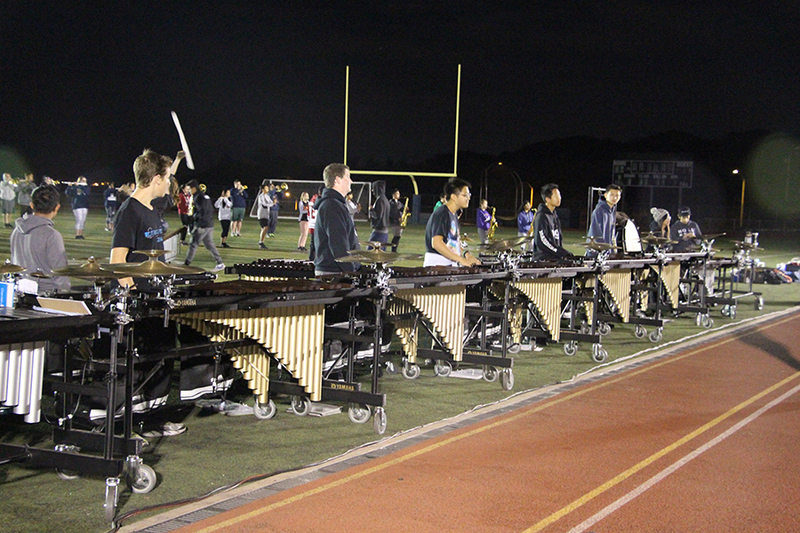 West Ranch percussion has been the holder of the SCSBOA Percussion Champions from 2012-2015. “What I’m most proud of is just how hard those kids work and how they don’t whine, they don’t complain. They put in the hours and they want to do more on top of it. 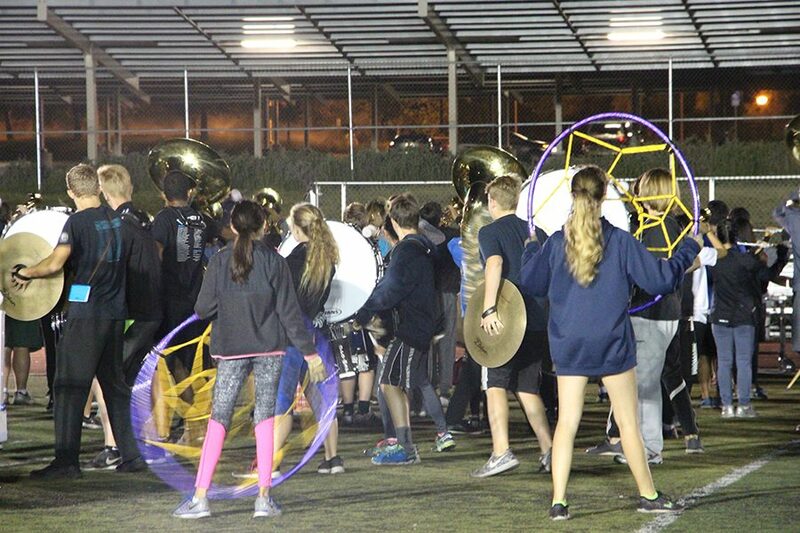 They just have a really wonderful attitude about it,” said Mr. Marshall, the director of band. 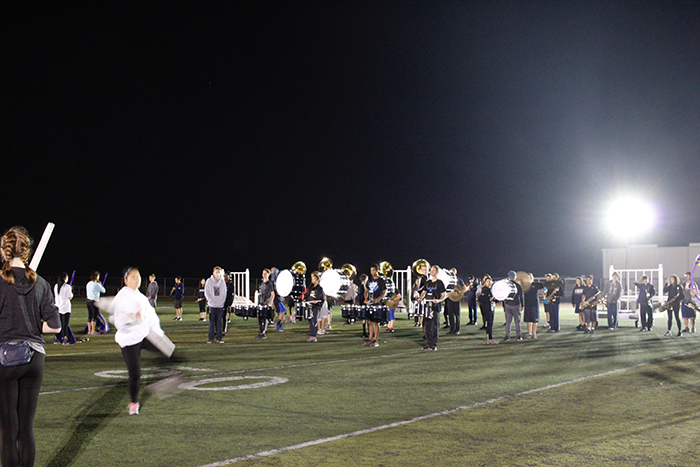 On top of school work, constant practice, and competitions, the students involved in this program are still able to balance school and band. “You just need to be passionate for it too, you can’t do it if you don’t have the heart to do it,” said Elijah Jones. Most students in drumline describe themselves as a close knit group, referring to each other as their best friends. During their breaks from practice, they gather together and socialize until they are needed back on the field. Even though all the members talk nearly every day, they are still excited to see each other at practice. “I’ve never met a group of kids who love each other more. They want to be together permanently. They would stay at this school and drum for fifteen hours a day if I let them,” said Mr. Marshall. 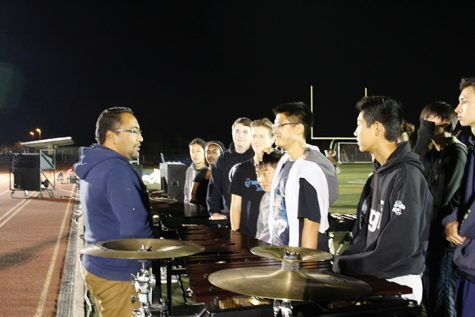 Drumline continues to work day in and day out, showing audiences how their constant dedication pays off.